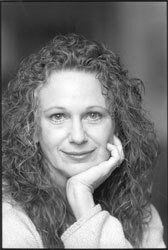 Ms. Blem has been involved with touring projects, developing plays, and hands on reworking of original material both as an actress and a director since 1980. Her first project was as an Artist in Residence in the Seattle Schools System where she helped rework and direct a play and poetry about the environment that two sixth grade classes had written. Ms. Blem toured with Family Album, a play dealing with issues that children face every day....i.e. divorcing parents, combining two families into one, and cultural differences, etc.....as an actress throughout the Portland area for three years.. She directed Secrets for Kaiser Permanente, a play that reached teenagers on an emotional level about AIDS, for the first two years of its touring, as well as their production of Mr. Body Wise. She helped edit a three person version of Quilters (two actresses and an accompanist) in which she played multiple roles, performing often in Oregon and Washington. 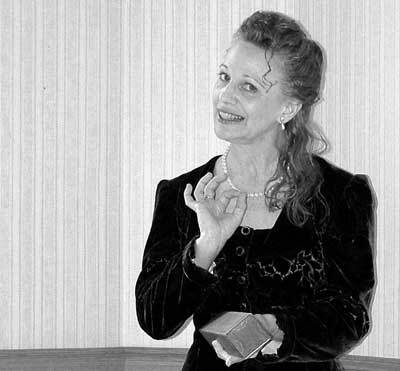 As a director Ms. Blem has been involved in numerous readings of drafts of original scripts for selected listeners as well as public gatherings. She also worked with Don Horn at Triangle Productions on two of his original scripts that had full productions, Tell Momma Goodbye and Don't Know the Color of Rainbows, Actually, helping to develop and hone the dramatic through going line of action of the plays and the through going line of the characters' spines. Ms. Blem has also been involved in many readings of drafts of original works as an actress. She has performed in several original productions. One was Four Square by Manuel Zarate, in which her input and ideas were incorporated through out the process over many months. Another was After the Light Goes, a collaborative effort with Rebecca Daniels as dramaturge and Nancy Klementowski as playwright, that began as Ms. Blem's idea for a touring one woman show about Georgia O'Keeffe, and ended up as a full 7 person play performed at A.R.T. with Allen Nause directing. The creative process took three years of research, discussion, exploration, readings, rehearsing, etc. and has been one of the most rewarding experiences Ms. Blem has ever had.